Let us help you discover the hair of your dreams! We are a proud partner of salon-exclusive Keune and Saints & Sinners Luxury Hair Care lines. 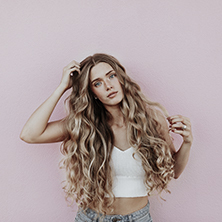 If you are in need of a cut, color, blow out, style, up-do, hair treatment, or considering hair extensions… we have you covered! Our aesthetic medicine services are provided by Dr. Michael Kluska, DO, FAACS, FACOS, Board Certified Reconstructive, Cosmetic, and General Surgeon, and Justine Roberts, MPAS, PA-C, RVT, MBA. 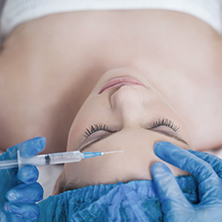 We are a proud Allergan Partner, offering Botox, Juvederm, Voluma, Volbella, Vollure, Kybella, and Latisse. We also a full range of laser services, including, IPL, Fraxel, and laser hair removal. Additional offerings include micro needling, microdermabrasion, chemical peels, and sclerotherapy. Our full-service spa offerings include manicures, pedicures, facials, massage, waxing, eyelash extensions, permanent makeup, and professional makeup application for weddings and special events. The Center MedSpa and Salon is a state of the art facility where health and beauty come together for wellness, relaxation, and rejuvenation. Our hairstylists can cut, color, and style your hair to help you look your best! Our team of licensed aestheticians provides laser resurfacing skin treatments, PCA Skin professional peel and facials, and basic facials to relax you and help revitalize your skin with a healthy glow. Need your nails polished to perfection? We have you covered there too! We also provide waxing services – massage, body treatments, airbrush tanning, and permanent makeup! Like our page to get updates. Head to toe, we are here to help you feel BeYOUtiful inside and out!